Much of the information on this page was contributed by Robert and Robin White. Origin of name  Two theories have surfaced over the years regarding the name Rose Hill. One is that the plantation was named after a little girl (Rose) in the 1830s. More recent information suggests the name comes from John Rose, the plantation's owner in the late 1700s to early 1800s (7). 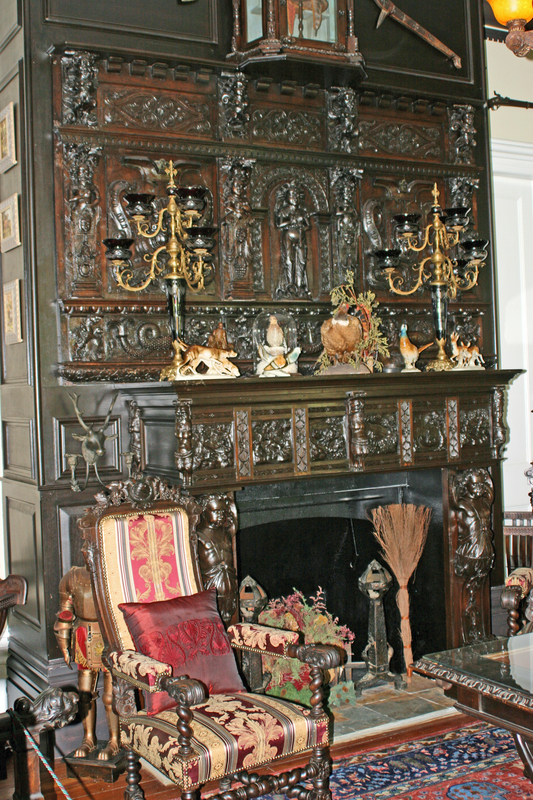 Granted to Sir John Colleton. It was once a part of Devil's Elbow Barony. 1790  The plantation became under the ownership of John Rose (7). 1799  Upon Rose's death, the plantation was inherited by his step son, James Kirk (7). 1830s  The plantation was given to Dr. John and Caroline Kirk as a wedding present from Caroline's father James Kirk. 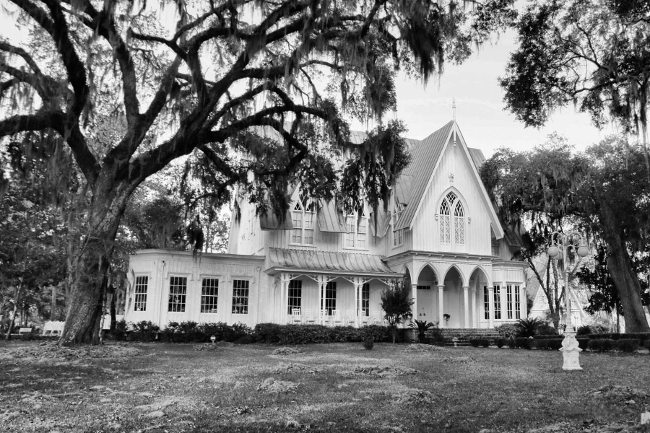 1858  House built (completed in 1860) by Dr. John and Caroline Kirk (7). 1946  John and Betsy Gould Sturgeon purchased the house and completed it in a highly sophisticated manner. 1981  Rose Hill Plantation Development Company, a David and John Welton pursuit, purchased the land for development of a planned residential community (8). Mrs. Welton spent nine months working with a rehabilitation team which repaired and completed an extensive rehabilitation of the house (8). 1982  The house was opened to the public for tours (8). 1987  A fire severely damaged the house and it would sit empty for nearly a decade (1, part 2). 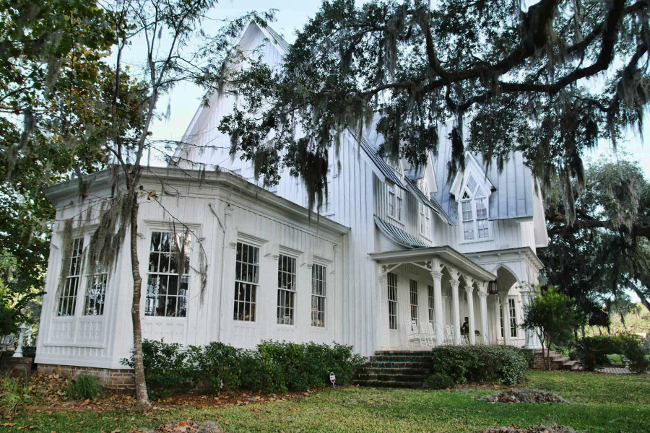 1996  Rose Hill Plantation House was purchased by the Middleton-White Foundation and is currently being restored as a private home. 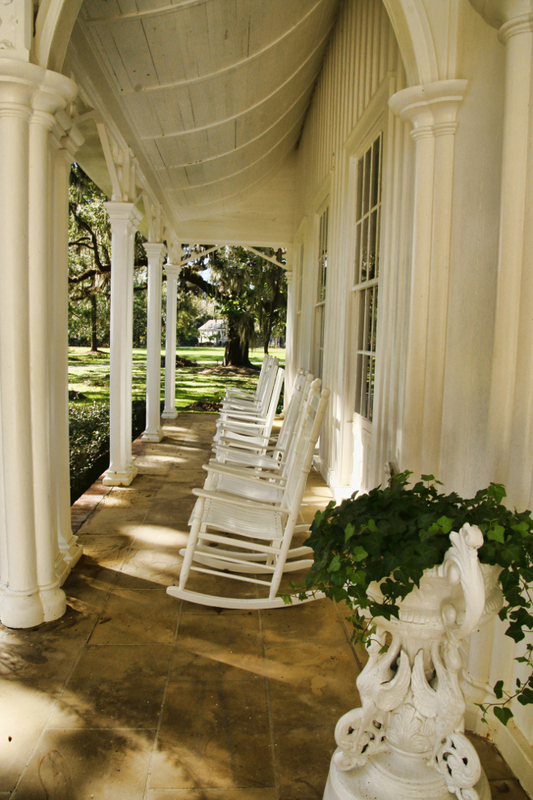 2009  Rose Hill Plantation House has been lovingly restored by Rusty and Robin White of the Middleton-White Foundation. Number of slaves  154 (7). 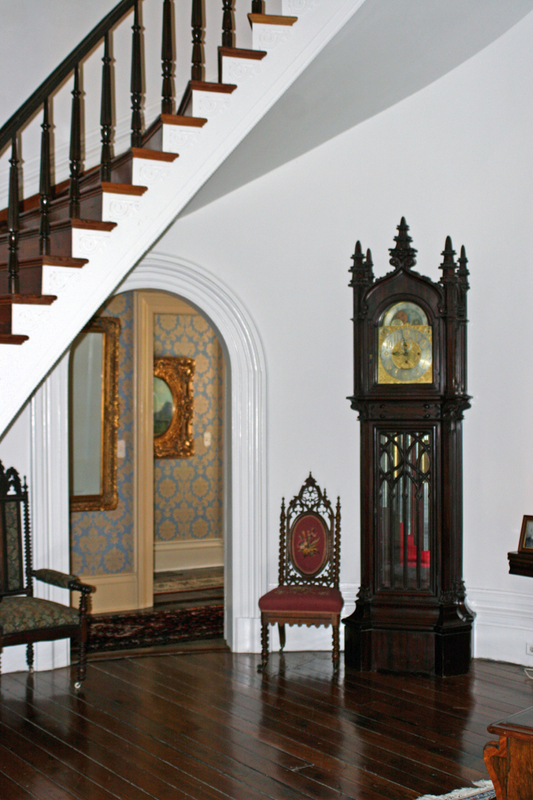 The house is of Gothic Revival design. 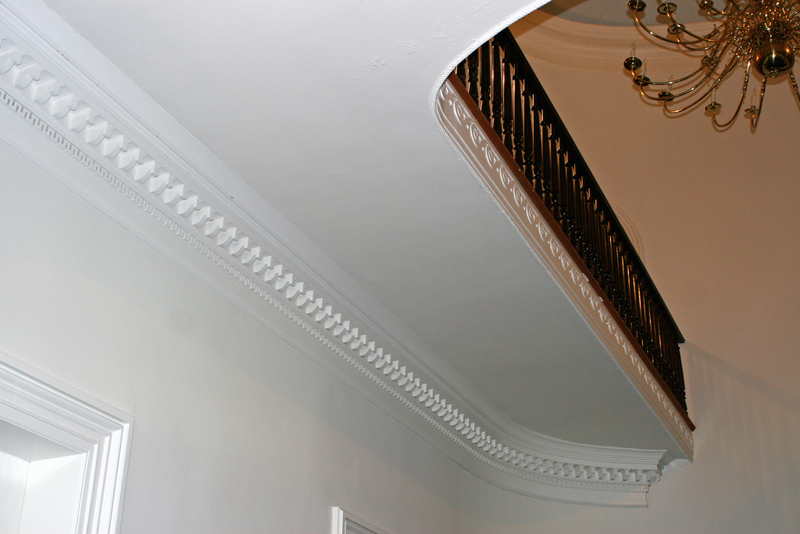 Although a 1987 fire severely damaged the home, much of the original characteristics and materials have been salvaged and restored. Click here to see photos of the house and grounds.